Callisia fragrans also known as the false bromeliad. A plant in the wondering jew family also known as Commelinaceae. Many strange and common looking plants are in this group. This one is more on the strange side. Star like foliage that will form runners at the base. Once flowers are produce they are held 3 feet or more form the center of the foliage and has white puffs of many small flowers. 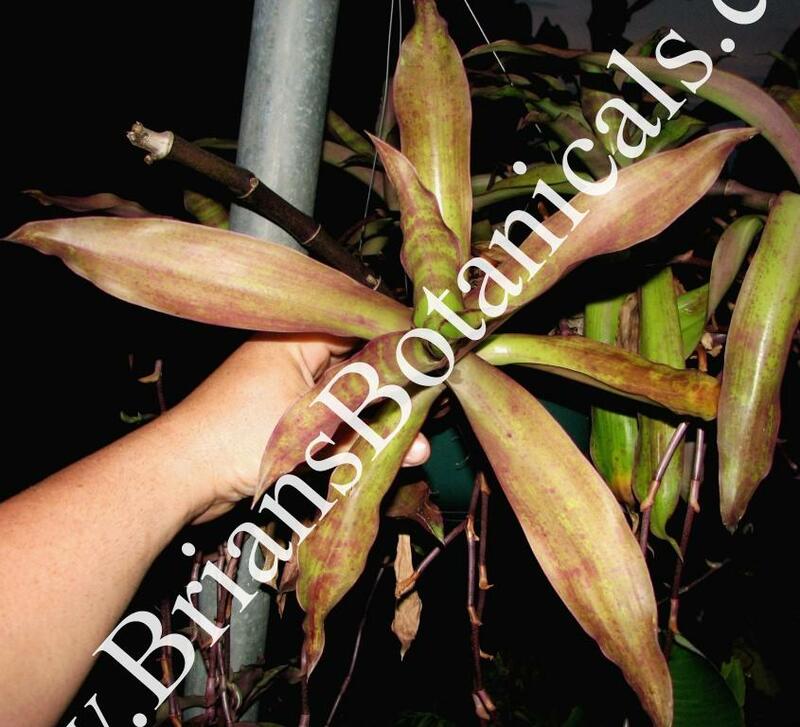 The foliage which looks very similar to a bromeliad will produce dark maroon to red coloration if in full to part sun. This sunburn look can be very interesting but in low light expect green foliage. Easy to grow makes a great plant for hanging pots and ground cover. It can spread quickly in warm tropical climates.